U.P. 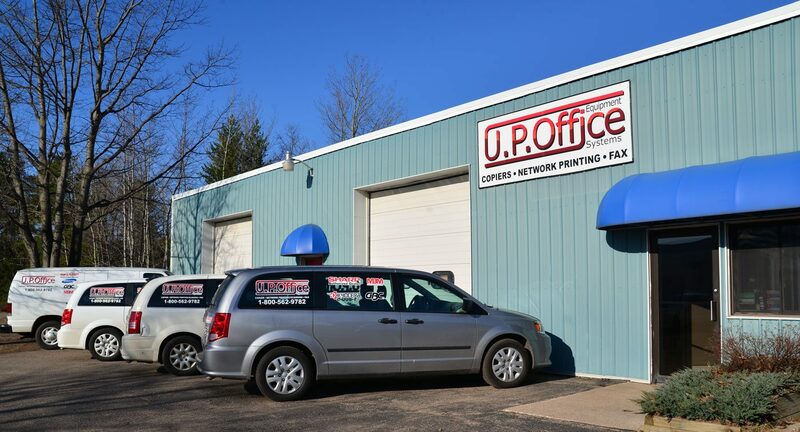 Office Equipment Systems has a long history of providing quality office solutions to upper Michigan and northern Wisconsin. We were formed in 1999 with a sales and service staff that has been affiliated with the office equipment business for over 25 years. U.P. Office is a fully authorized Sharp dealer, selling a full line of Sharp Digital Copiers, fax machines, and supplies. In addition we carry a full line of GBC and MBM finishing equipment (i.e. Shredders, Laminators, and Binders) and supplies. Our products will work as hard as you do to keep your business running at the highest possible efficiency. Sharp copiers feature one of the best Monthly Duty Volumes in the industry, easily beating out competing brands and reducing maintenance periods. We are local, which means our technicians can respond quickly to anything ranging from fixing an error code, to setting up printing/scanning, or dropping off replacement toner and paper. Our service staff is ready to assist your business needs. U.P. Office Equipment Systems' staff receive training on all installed copier/scanner/finisher products. Our service personnel are certified and receive annual training in order to provide your business with the most current office technologies and features. U.P. Office Equipment Systems always go above and beyond for RTI Surgical's Marquette facility. The tech support is always only a phone call away and their response times are the best of any company I have ever worked with. Keep up the great work!! U.P. Office Equipment Systems has been a great company to work with. They always follow through if we have any problems and work quickly to get us back up and running. We are very satisfied with U.P. Office and would recommend them to anyone. Our church has been a customer of U.P. Office Equipment Systems for several years. We have been very happy with the sales and service staff for the copiers we have purchased. In Marquette, there are several options to choose from for copier needs, but we are happy with our choice.